For The Dreamers| Keep in mind…I’m an Artist, and I’m Sensitive about my ISH! My Loves, how are you?! Partly why I haven’t been posting much. I’m trying to figure me and my ART out. I’m definitely taking a turn. You’ll adjust or you’ll unfollow. Lol #beyou! As a makeup artist, my gigs mostly consist of weddings. Although it brings me much joy and really good money (not going to lie lol), lately it just hasn’t been doing it for me. I find myself trying to get through day, and I have to stop myself from breezing through a party of 9. To be clear, I love doing makeup no matter the occasion. However, I would like to have more control over the way I express myself to the world with my art. During bridal consultations, the bride will tell me how she wants to look on her big day. I then turn her vision into a reality, in my own way of course, but the bride sets the mold. Every now and again someone comes along and says, “GO FOR IT! Do whatever you feel.” Little do they know my mind is in the middle east and what I really feel like doing creatively would not go with the location/theme or culture of the wedding. Atlanta based Photographer, Ahmad Barber is one of the few that inspired me to give more of myself to art. Despite the fact that I low key stalked him, emailed him, attended an event where his work was being featured, and continually like and express my love for his work on social media he gave little ole’ me a chance to work with him. The featured imaged above is what we created. It’s what I was talking about 27 weeks ago. This…THAT is what I want to do. The GLOW is Soft and Gentle by mac as well. Lips: Cork lipliner (mac) with Black Opals “Hint of Pink” matte lipstick. The entire time, I was so unsure of myself. I would ask Ahmad what he thought of what I was doing, and his response was, “Go for it!’ every time and it drove me nuts. I kept thinking, ” Does he like it or not, I mean, come on man!” I was afraid that what I was doing didn’t make any sense or that I didn’t get close enough to the images in our story board. At the end of the day he enjoyed what I was did and gave me a tip for the next time we work together….. I just wanted to come and share with you what I’m up to and the direction I’d like to go in. 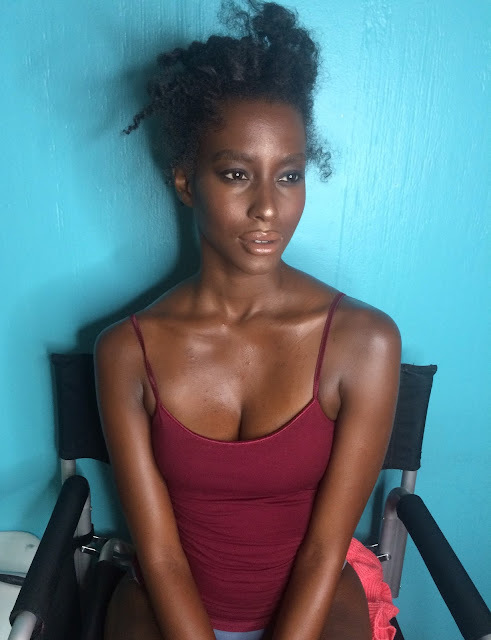 I look forward to working with Ahmad again and growing into an amazing editorial, clean beauty makeup sorcerer.